Sometimes it’s nice to read a novella instead of a 400 page novel, especially if you’re finding that you’re in a bit of a reading slump or don’t have a lot of time to dedicate to reading at the moment. This book was perfect for that. 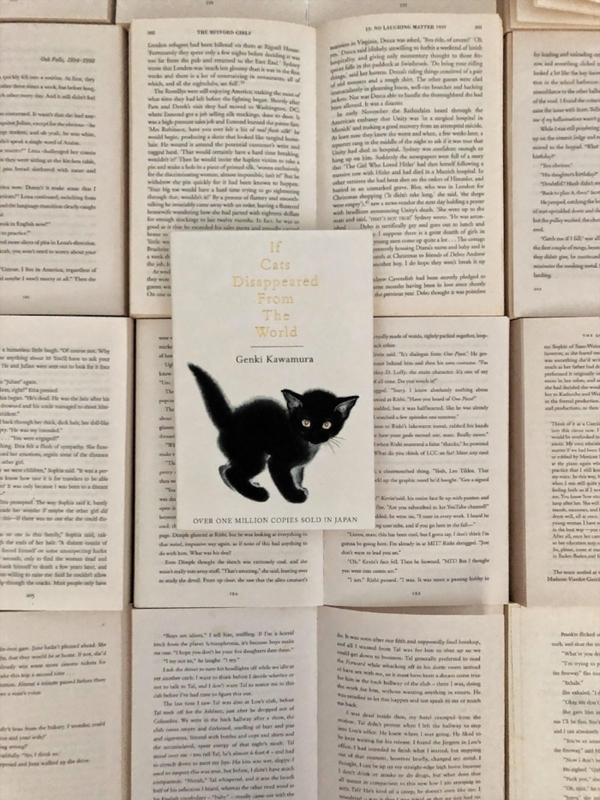 If Cat’s Disappeared from the World is a book about man who is told that he has a week to live and get’s visited by the devil. He strikes a deal with him, that he will get an extra day to live if he makes one thing disappear from the world. With the unnamed protagonist’s agreement, the devil makes phones, movies and clocks disappear from the world. However, when the devil suggests making cats disappear from the world, the protagonist couldn’t agree to it. Let me tell you, I bawled my eyes out at this book. I have never felt so much emotion and so much attachment to the characters (especially the talking cat Cabbage!) in such a short space of time. I have to say, this has become one of my all time favourite reads. I adored everything about this book. Yes, the book is about someone dying, but that isn’t what is so sad and what moved me so much about it. He gave up the chance to live for his cat, and that’s something which makes me feel emotional just thinking about it. It was the voice of the whole book that made me love it even more and made it so easy to read. It was oozing with sarcasm from every single character and sometimes even had me laughing and crying at the same time!